Dr Victoria Roulstone has been investigating viruses that have the ability to kill cancer cells, known as oncolytic viruses. Reovirus, a naturally occurring human virus, has shown some positive results in pre-clinical tests in a wide range of tumour types and has now reached final testing in clinical trials. Early clinical studies have shown that when it is used alone this virus demonstrates modest effects on cancer cells but when used in combination with new anti-cancer drugs there is a potentially greater effect. It has been noted however, that in clinical trials, not all patients benefited from these treatments. This has highlighted the need to identify which combinations of oncolytic viruses with anti-cancer drugs offer the most effective treatment for head and neck cancer patients. Researchers are used to complexity, it’s what they’re trained to do, but the assistance of a robot is invaluable when faced with carrying out a high throughput pharmacological test on a range of 80 different drugs, in combination with a cancer-killing virus. 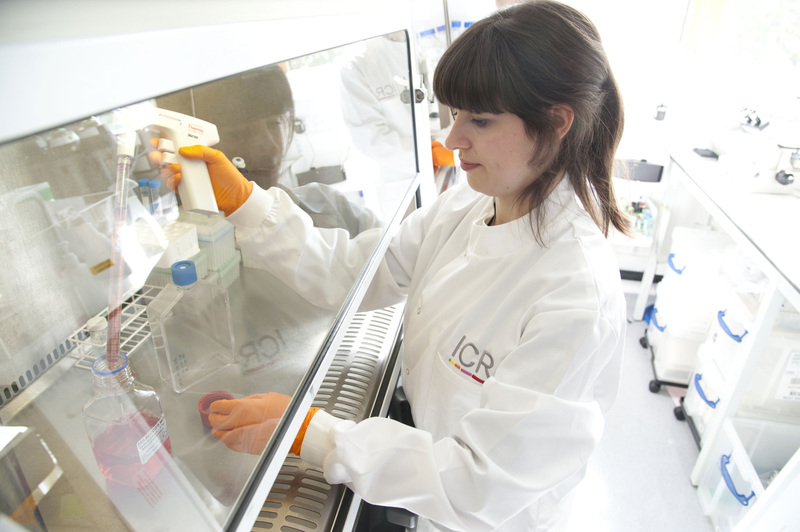 Victoria is utilising the skills of a sophisticated Hamilton Microlab robot in this project which is looking for novel drug combinations that could enhance the tumor killing properties of Reovirus. 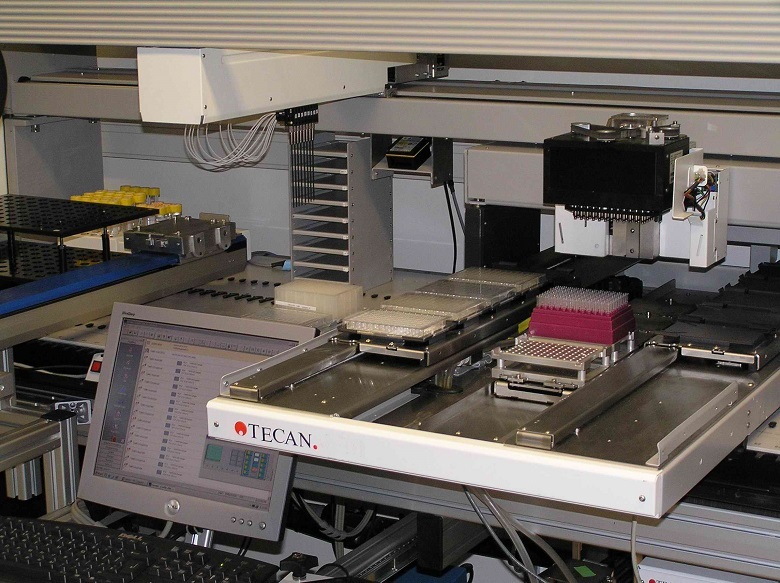 The Hamilton robot helps with the practical implementation of a complex test of this kind that is testing all the possible permutations of the 80 drugs with Reovirus. The robot was used specifically for the purpose of making the study quicker and easier and it is also able to remove human error, an almost inevitable result from a project of this complexity. The Institute of Cancer Research (ICR) has used the Hamilton robot on similar experiments where large quantities of drugs in numerous combinations need to be analysed and it is now fully optimised and programmed to be at the ‘top of its game’ in terms of accuracy. So far, Victoria has identified a particular drug that when combined with a virus known as reovirus, increases cell death, as well as the mechanism by which this happens. “When we combine the drug and the virus together, hidden viruses that are part of our own genomes, so called retroviruses that form about 30% of our own DNA, suddenly switch on and start releasing within these cancer cells, RNA species, which are profoundly activating to the immune response.